My favorite features are definitely how easy it is to integrate forms into any application to be used, customize them and create cold emails based on them to reach hundreds of students from different departments at the same time. This saves a lot of time, and makes marketing, scheduling, and campaigning very easy. It also provides you with good sales statistics, which help you gauge the progress. You cannot segregate emails based on categories or different variations which does get a little tedious when you are dealing with hundreds of emails a day. The cold emails are a very innovative way to send out dynamic emails and I would recommend taking your time to try this software out before purchasing it. 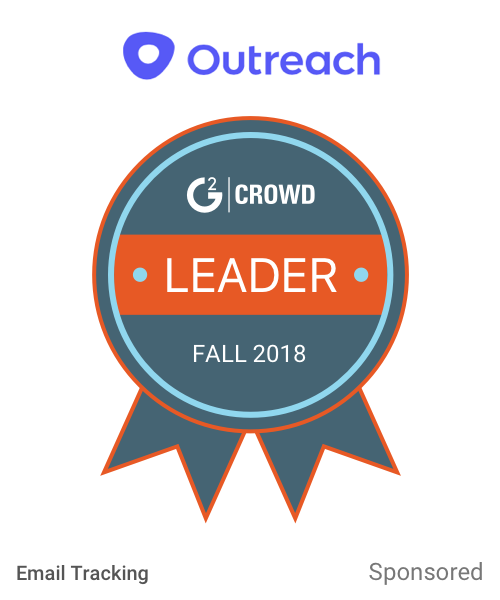 It is a great platform and I have used it to send information about colloquiums, registration deadlines and other enrollment based information to students. It has made the job very easy and saves me a lot of time. "Very easy to send mass emails"
My favorite feature of this is that it saves a lot of time by allowing you to create a mass email template. This helps you reach a lot of people, without manually entering the details of everyone. I love how easy it is to create dynamic emails, and set up different campaigns and polls to market or promote a cause. I also love the number of tutorials that they provide to make sure that you can make the best of the facilities provided. The per month price is pretty expensive for independent student-teachers. It also does not have any feature to verify the emails. It also does not have the facility to add a lot of users for the follow- up processes. It makes tracking your progress and activities so easy. I would definitely recommend giving this a shot. I have used it to contact a huge number of prospects and students using just one simple template and sending mass emails. It has saved a lot of time and has definitely made campaigning very fun for me by excellent management tools. "Great tool for sending mass emails"
It has a great and easy integration into other email services, which helps in creating simple mass emails. I can easily amend these "campaigns" later too, and communicate efficiently with my students. It's a great tool for beginners who do not have much experience with the tech side of things, and it is also very easy to switch profiles using this. The only thing that I dislike about this is that there is no way to do opt-out links. All other features are excellently implemented. The email campaign interface is really user-friendly which is why it is greatly recommended. We have often used this to communicate with different sections and send out information for testable materials, reviews and other works. This has saved me a lot of time of manually changing particular types of emails (such as lors) and has helped me reach general students far easily. "Quirky, buggy, killer of conversions"
I initially liked Woodpecker for the low cost. $50 a month is close to half of what the next nearest platform is. The features were basic, but perfect for cold emailing only - no VoIP, no other expensive add ons like the other platforms. They also have a nice agency feature which allows managing campaigns and not costing a license. Regardless of the settings you put on woodpecker it does not follow them. For example, I set my sending window for b2b email from 8am to 1pm, Woodpecker was delivering my campaign ALL DAY LONG, even though we are only talking about a hundred emails. Secondly, I set my frequency to go out between 15-30 seconds apart to ensure that my emails were able to get out during my sending window. Woodpecker was STILL SENDING them 6 minutes apart, which means that their platform is miserably broken. Thirdly, I noticed a lack of responses over a few days. I logged into the platform and the Gmail integration had surprisingly been broken for almost a week. No notification, no warning, Woodpecker just stopped sending mail without even telling me. Fourthly, the support and sales team is uber slow to respond. It may be an EU thing since they are a Polish company, but I was floored at the fact that it was taking multiple days to resolve issues when the platform was broken. When Gmail integration was broken, it took them 3 days to figure it out, 3 days I was paying - that is 10 days I was paying for a borked platform. I emailed their entire executive team, with countless issues, and not ONE of them had the acumen to step in and take ownership of the ongoing borking. Instead, customer success floundered helplessly for almost 1.5 weeks trying to resolve a myriad of sending, scheduling, and integration issues. Stear clear, invest a little bit of extra money for a tool like PersistIQ, Salesloft, or Outreach.io. None, woodpecker has cost me more problems than I am solving. There are no benefits paying for a tool that does not do what it is designed to do. I'm sorry that your first positive experience with Woodpecker has been shadowed by the technical issues related to sending your campaigns. Your frustration is understandable. Responding to your review here took me almost a month, which I apologize for. At the same time, I want you to know that over this time we took specific steps and additional precautions to make sure the difficulties you described will not frustrate our users anymore. The fact that your intended campaign delivery schedule has been distorted by our automation system has been a serious concern to us. We have updated the interface of the delivery time settings for the campaign. The updated version has been designed to make the time setup process more intuitive. I believe the changes we have made to the system will help us avoid delivery time issues from now on. The frequency of sending the messages is a factor that affects deliverability to a great extent. Our goal was to enable our users to control the frequency as well as set hourly and daily sending limits appropriate for their email provider's limitations. Yet, we must have not specified clearly enough how the daily and hourly limit settings in Woodpecker affect the sending frequency. We have updated our help section to explain what exactly the sending frequency depends on. Undoubtedly, the lack of immediate alert about your Gmail account getting disconnected from Woodpecker is something we definitely need to take care of. The graphic mark in the panel is obviously not enough to inform our users about disruptions in the mailbox connection. We are currently in the process of introducing email notifications for this exact and other similar issues related to email connection. I understand that the delay in our support response may sometimes cause some discomfort to our US customers. The time of reaction has always been one of the key points of focus for our support team, and a delay of a few days in response is unacceptable. To provide on-time support to all our customers, we recently hired another 4 agents. I believe this will allow us to respond to all our users’ questions faster and help them solve all issues. Again, I am sorry we were not able to deliver the value you expected from Woodpecker. I have personally confirmed that the refund you requested has been dispensed at the beginning of March. I love how easy it is to use and the efficiency with which you can send mass/'cold' emails which help in reaching a lot of prospects. This helps me communicate with all the tutors working for me very easily because of the great campaigning features provided through which I can set up informative meetings with them. Another feature that I really love is that the tutorials they provide for walking you through all the functionality are great and help making the best use of it. I have nothing in particular to dislike about Woodpecker.co. It is very innovative, looks creative and has saved me a lot of time. I would say that a source tracking feature might be helpful. Make sure you check if it meets up with all the requirements of your organization before you setup a payment plan. I have found using it very helpful to send mass emails, set up meetings and work through notifications and reminders. It is so easy to use, that it makes communicating with a 100 people so quick. "Mass email for inter-department communication"
The cost for setting up Woodpecker is really low as compared to any other mass emailing service. We use woodpecker for most of our campaigns in my department for not just contacting employees within my department, but also for reaching out to other sister departments. This way we attract more attendees with simply cold emails. I haven't had much trouble with Woodpecker because I have only used it for mass emailing and managing campaigns. The initial setting up of the address book can be a bit frustrating, but it gets better as you become more familiar with the platform. If your own servers cannot handle the stress of managing hundreds of cold emails, woodpecker offers a really cheap and effective solution. It helps with not just setting up a campaign but also with the follow-ups. Customer service helps you out whenever you get stuck. We solve the cold emailing problem because our own servers cannot process hundreds of emails sometimes. It is a cheaper solution to a problem that could potentially stall all our servers. It helps save paper because we don't use paper flyers or newsletters anymore. Digital Marketing helps save a lot of time, paper and ink. "Worth it for small scale businesses"
I recently began a car-pooling startup. Getting new users was by far the biggest challenge. So, my team and i decided to send mass emails to give out signup bonuses and free trials. 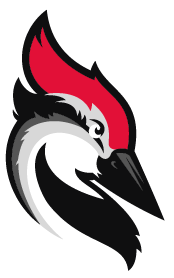 Woodpecker helped us get our customized emails up and going in a matter of hours. We've had substancial growth in new users due to woodpecker. It was also inexpensive to sign up and create personalized emails. Unless you want to go through the hassle of setting up your own email server or manging the massive influx of emails, you should probably use a service like woodpecker. Don't forget to personalize emails as much as possible to give users a personal touch. We use woodpecker for mass emails, cold emails, attracting new customers, sending coupons etc. We also personalize our emails using woodpecker. "Great tool for sending out Email for Marketing & Business campaign." Very easy to use interface, Newsletter and helpful tips & tricks are very informative. You can upload all contacts very easy way. Nothing so far I got one problem on Uploading Contacts from other platform it is difficult but their support is very helpful on solving this problem. If you are Searching for a software that can really help with your Email and Marketing problem or If you want to save manpower on Marketing related job, this software is for you. They give you tips & tricks that is very informative and their support is fast and very experience. They can handle every problem you encounter on their software. We solve a lot of problem with our contacts are followup we put a lot of people on our email campaign and other business related emails. But now we can save a lot of man power because of this software. "One of the best email tools to date!" Woodpecker works seamlessly with outlook so thats one plus. What I really enjoy is the availability for multiple campaigns, adjustable send times, and all the metric data about open rates etc. Really nothing to dislike. Would be cool if we could export to dynamics CRM. All types of Email Marketing. By using woodpecker it comes directly from our email address, so our clients are faced with spam but rather they know who is sending it. "Cheap and effective Cold emails"
We use a lot of cold emails to attract customers and to invite them to try our products. Woodpecker helps us automate the process and also helps provide different kinds of responses to those customers who end up clicking on our links or replying to a cold email. My favorite feature is the option to customize the emails being sent so that the customers feel the personal touch. I don't have anything to dislike really. I like the service and the cost at which it is offered. I would suggest you try Woodpecker if you spend a lot of time sending the exact same emails to hundreds or thousands of people and feel that some customization and a good amount of personalization can help your business. We use woodpecker for cold emails to attract customers and get them to try our products. Woodpecker allows you to setup many email sequences and tests to see which variations convert best. You can make very custom sounding cold emails with the use of Snippets that can be included in your CSV, then embedded into your message copy. I need to pay extra for Zapier integration. Also need to pay extra for different email addresses, even if same user. As in our company, there're a couple of users; it's for all of them pretty intuitive. Options for the personalization are pretty good and drives positive results. Good support - also. I don't complain about woodpecker, even the cold mailing isn't the best source of leads in our business still have positive ROI. Acquiring new leads, new customers. "Great service for automating cold emails"
Woodpecker is a must-have if you're doing any type of cold email within your business. It automates the follow-up process and detects any replies, making your job 10X easier. Honestly, there's not much to dislike. The only thing I can really think of is that the follow-ups are limited to just seven. I guess if you had a really high-value prospect, you would want to follow up more than seven times, but that's pretty much it. I am using cold email campaigns (as well as recommending cold email to my clients) to get more clients. "Best follow-up tool ever! " The product is easy-to-understand and well developed. Creating campaign is very easy and intuitive. We had some small issues but all of them were quickly repaired by awesome customer care team. The best tool for follow-up's EVER! All outbound communication is controlled by this single service. We've reduced a massive amount of time by creating automated email campaigns. Woodpecker is the best software that I use on a daily basis. I have about 10 instances for different clients and it allows me to automate the lead gen process and ensure a constant flow of emails every day. I understand why, but I wish you could send attachments. Even that is not a huge problem. Use it, seriously. Amazing tool. Open rate issues alson with deterinning what links are clicked. "Woodpecker is my favorite software!" Woodpecker has allowed me to automate all of our cold emailing to prospects. We use them for not just our own sales efforts but for our clients as well. Nothing, this software always works well. Knock on wood! Use it, it is the best and most cost effective solution. High level reporting, easy to use, and actually kind of fun. Slick design, very good user experience and I like that it's not complicated tool as other similar. I'm using it for cold mail campaigns. "Good solution for the price point"
The price is extremely competitive, difficult to beat for a small company. * We monitor all Woodpecker.co reviews to prevent fraudulent reviews and keep review quality high. We do not post reviews by company employees or direct competitors. Validated reviews require the user to submit a screenshot of the product containing their user ID, in order to verify a user is an actual user of the product. Hi there! Are you looking to implement a solution like Woodpecker.co?